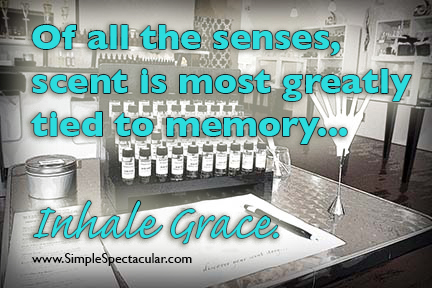 Inhaling the Fragrance of Grace: My Scent Story | Simple. Spectacular! 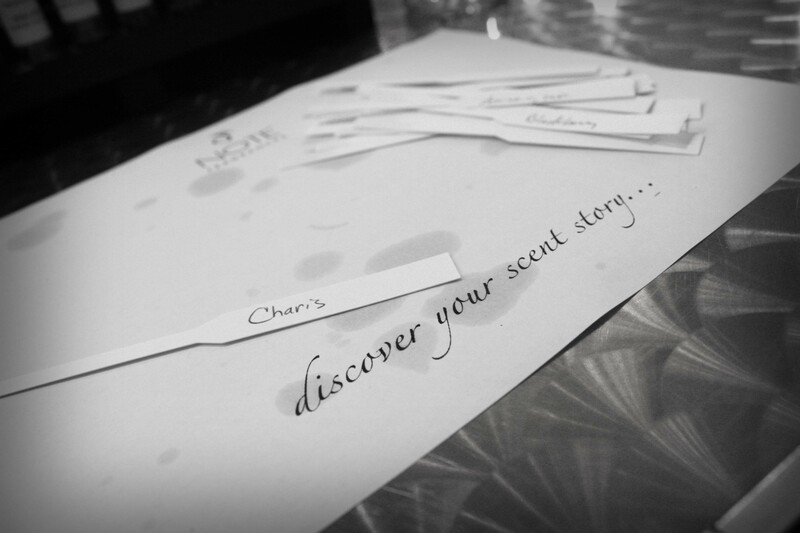 Did you know that out of all the senses, scent is the one most greatly tied to memory? I learned this years ago when I interviewed an ambitious entrepreneur for a story for our regional magazine. I tucked this fun fact away, and over a decade later I found myself with my husband in that same entrepreneur’s newest venture – a store where a person can capture love, memories and emotions… in a bottle. 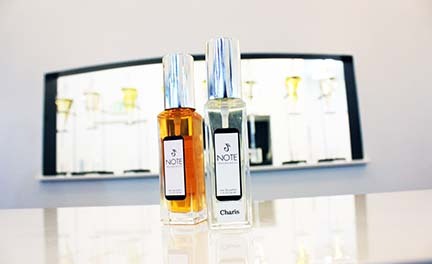 A place where that entrepreneur – who is now a friend – helps people connect with the power of scent and their ability to evoke memories and emotions. 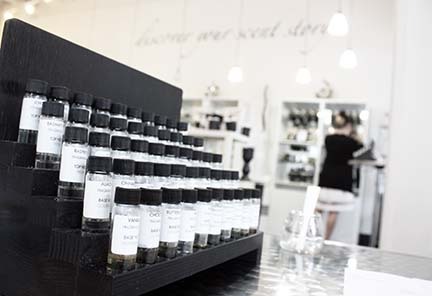 At her new shop, she helps people harness the psychological connection to scent in a way that is individualized, creative and unforgettable. She helps people discover their scent story. We lost two little ones before they were born. These two little ones are part of my story. 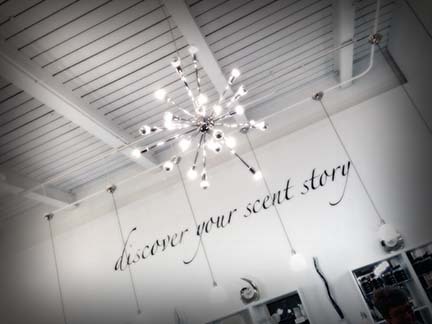 I intentionally went to the shop, NOTE Fragrances, to create a scent in memory of this special part of my story. I knew what I wanted this emotion in a bottle to be like. I communicate through written words. 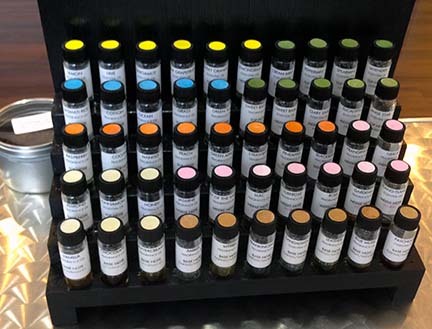 My entrepreneur friend communicates through blended scents. 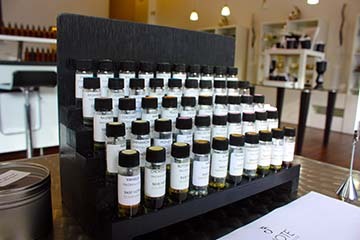 She guided my husband and I in creating our own custom fragrances. 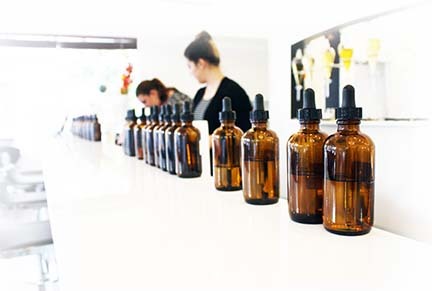 We sat down in the bright perfume studio with fifty bottles of different scents in front of us. I started. Dipping strips of paper into the scents that spoke to me first with their names. Grass – the season when I expected to welcome our second little one and instead was losing our third. The smell of St. Patrick’s Day and first days of spring and first feelings of warmth and excitement for potential growth that later marked our goodbye days. Peach – the smell of the lotion I rubbed into my hands every night as our third little one grew inside me. Blackberry – nearly the size of our little ones when they made their exit. Other scents were unexpected, like the sweetness of frangipani and lift of spearmint. I’d wave the chosen strips of paper with scents and memories in front of my face and inhale deeply. Some I’d keep, and some I’d take away, making combinations that kept getting closer to The Fragrance, the emotion and storytelling I was looking for. But what was that fragrance, exactly? What did I want to remember? Remember two babies not with us… to stir up memories of what… pain? loss? The past year had been the worst, most difficult. No, I can’t say it’s the worst, because there is good even in the most painful moments. One expectation of the past year that was unexpectedly met was that it would be a year of New Beginnings. I expected a new baby. But I still did get a new beginning. I was given the gift of a new perspective. I got to see the grace in the wounds. I waved combination after different combination of scents across my nose and I inhaled again. I knew what I wanted to capture in this bottle. Not the pain. I wanted this fragrance to be an uplifting reminder of the grace. I would never ask for wounds. For hurt. For pain. For difficult. For me… for anyone. But it comes without asking. And when it comes, somewhere, there is always grace. It’s hard to see and hard to smell. To recognize it, one needs to search for it. To want to experience it. To pursue it. Of hope. Of grace. Not just after the mess is cleaned but in the middle of the messy. I continue to combine. Take out the blackberry. Add in the butterscotch. More sweet. I didn’t always believe it, but it’s always possible to inhale the sweetness. It’s here. In the pain. But I have to inhale to experience the fragrance. Not hold my breath. There are those times when I hold my breath and I’m not ready to inhale. It hurts. I doubt. I forget. I need a reminder. The good gifts are always coming down from my Father, who doesn’t change when my circumstances do. Who doesn’t stop giving me breath and pleasant fragrances even when I’m the stubborn child who holds my breath when my demands and plans and expectations aren’t met. When I forget to inhale the sweetness that constantly is there because His love is constantly there. This fragrance I’m creating as I mix and match the “notes” is for the memories and for two little ones and for the grace in the middle of the mess. It’s for hope. His hope is in the mess… is designed for the mess even. We just need to remember to search for it, to inhale it. I finally inhale and realize it’s nearly complete. My husband weighs in, and I ask the scent-expert-entrepreneur friend for her guidance. She blends and suggests one more scent element to add – almond. She adds a drop… or two… and the fragrance is finished. It’s complete and perfect and everything I was trying to describe in my words that didn’t do it justice. I inhale. I no longer recognized the individual notes. No, now it was no longer separate elements but one unique fragrance that I wanted to drink in. Later, I searched out the one scent I didn’t choose on my own. That rare scent that combines both sweet and savory into one. Symbolic of watchfulness and hastening and promise. There’s a reason why it was there. The wild sisters of domesticated almonds are not only bitter, but poisonous. If I choose bitterness it becomes poison, but if I choose to inhale grace, it gives nourishment and life and watchfulness for the promise. Inhaling hope in a bottle to remind me that He’s collected my tears in His bottle. He cared when my little one’s heart stopped beating. He cared when my heart kept beating somehow. He cares now as my fingers run over my scars and I’m tempted to question his care, and I doubt. He cares now as new wounds are ripped. He pours grace over ripped skin like a medicine. Not promising to take away the pain or scars but to remind that He is the great physician. He’s always pouring out the fragrance of GRACE. My bottle is filled. Scent exudes, and my bottle is actually overflowing, overflowing with the grace and hope and assurance of the I AM who holds my hands and holds my tears and holds my heart. Memories of little ones. Memories of the mess overcome by hope. Reminder with every inhalation that grace is here. Take a breath. Inhale the grace. Keep going. Take a breath. Inhale the grace. Keep going. When I inhale the fragrance, I remember the struggle and the peace and the guidance and the Hands that hold mine and the One who scoops me up and carries me to the Rock that is higher than I and places me there gently to soak in the Son. The One who used the weight of those moments to reveal the weight of His glory. The lessons learned. The heart changed. The spirit revived. The new beginning. 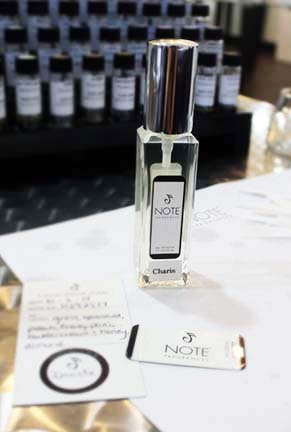 I name the fragrance “Charis.” Greek for the merciful kindness of God… Grace. My message in a bottle? Hope. Reminder of the healing for a hurting soul. 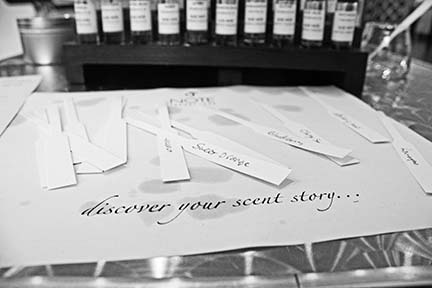 My scent story? Grace. On every page. In every drop. In every inhalation. In every moment.